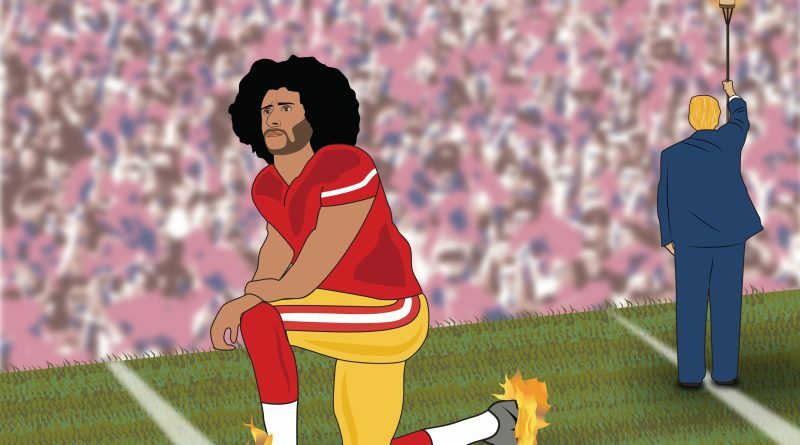 In 2016, Colin Kaepernick was the first NFL player to do so, sacrificing his career as a quarterback making millions of dollars a year in order to protest against racial inequalities and police brutality against people of color. The implication being made is that players who are deciding to kneel are unpatriotic and insensitive to service members who have lost their lives in the line of duty, causing a controversial split. be the ones to spark this debate by using their platform. In 2016, approximately 80 percent of the NFL were made up of black men, according to the institution of diversity and ethics in sports. The majority of them identify personally with the hundreds of unarmed people of color who have been gunned down by those sworn to protect them. The relationship between police officers and people of color has been turbulent stemming back to the early years Jim Crow segregation. Most of them have felt the impact personally of what it feels like to be objectified because of the color of their skin. It is a feeling that a non-person of color could never be able to identify with, specifically when interacting with police officers. The backlash that NFL players are receiving, specifically Colin Kaepernick and other players who have associated themselves with his cause is interesting because there seems to be a blurred line between freedom of speech and disrespect. Truth is, Kaepernick has earned the respect and support from veteran service members. It was in fact a army veteran, Nate Boyer, who suggested that Kaepernick kneel instead of sit during the anthem. The national anthem is not just a commemoration for American troops, or for the American flag, it’s an anthem for the American people as a nation. The hundreds of unarmed Black men who have lost their lives at the hands of law enforcement were Americans. They were not terrorists, nor were they threats to the security of the nation. As a Black man, and a Army Veteran, I too can become a victim to police brutality simply because I fit the description of the stereotype that follows African Americans everyday. Americans who find this demonstration disrespectful or demeaning seem to be missing the point. Players aren’t protesting against the flag or against the troops, they’re protesting against injustice. Their protesting against the brutality that African Americans and other ethnic, non white groups have suffered at the hands of police officers who abuse their authority. 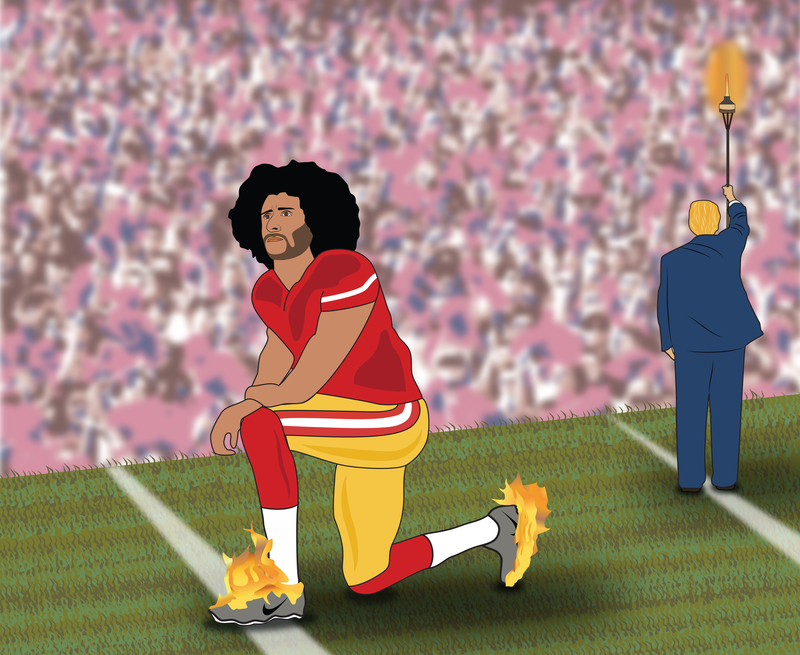 The problem that Kaepernick is protesting against has easy fix. There is over four hundred years of systematic conditioning that has brought us to where we are now. What African Americans have had to endure to become respected as American citizens can never be undermined. By choosing to ignore the true problem this demonstration by African American men who happen to be professional athletes is choosing to ignore the issues that African Americans are faced with, and have overcome on this fight against racism in America.